One fall day, I looked at a patch of weedy lawn at my parents' house. It's in the back yard and has some old cedars beside it. The soil is heavy clay. The slope is gentle with enough of a grade that the bottom floods seasonally and the top is bone dry. That makes it a challenging little microclimate for experimenting and learning. So that October I planted 2 apple trees, 2 pears, and 2 cherries. And since I only visit every month or two, I needed to set it up so it largely takes care of itself. 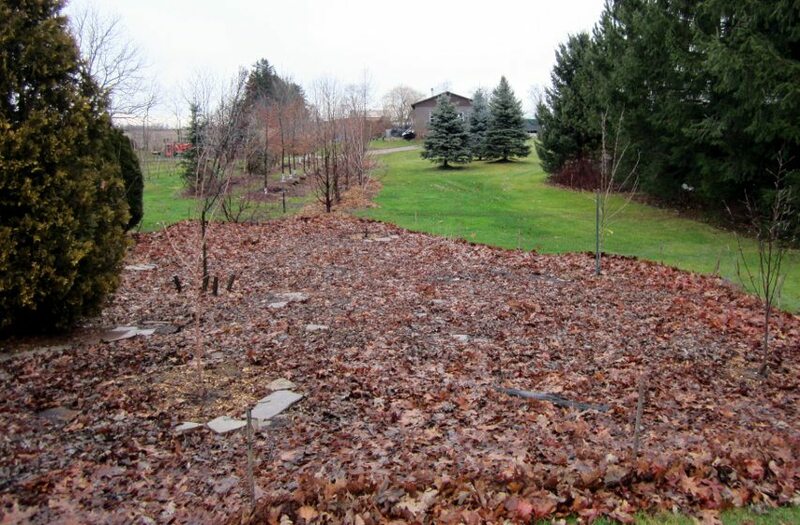 I built a big sheet mulch over the whole area, which looked like the first photo above. And less than 3 years later, it looked like the second photo (same camera angle). My mom and I harvesting some garlic, potatoes and tomatoes. It's amazing what can happen within three years in a garden - and in a life. Back then I was happily married. Six months later I was separated. But having made it through, I wouldn't want it to happen much differently than it has. As you've probably figured out for yourself, the tough times seem to have a way of bringing about the most incredible growth in a person, and that's certainly been the case for me. 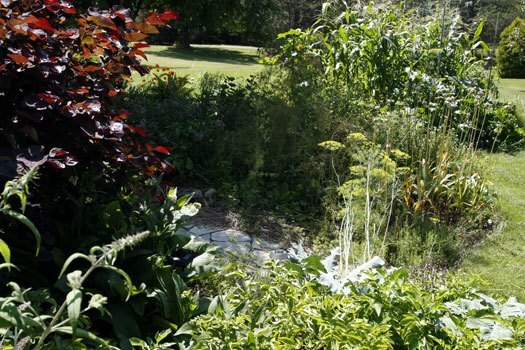 We do want to have the basic pillars of health in place in the garden - a diverse soil food web, a decent fertility balance, sufficient water and so on. But if you were to water and fertilize your plants every day, they wouldn't have much incentive to extend their root systems. And that means they'd get sick much easier and wouldn't produce food as nutritious or a harvest as big. That's why we take a break between waterings, and also why we amend the soil further than just the planting hole - because we want the roots to head out further in search of more food and water. Likewise, if we don't allow some insect- and disease-infested leaves to remain on our plants, then what will attract the beneficial insects and microorganisms to help us keep those problems under control next year? Now that same view looks like this, with dozens and dozens of varieties of fruits, vegetables, herbs and flowers. Three years later, I have very few pest problems in the garden, while an abundance of delicious foods are starting to come on strong (I ate my first apples and pears last year - and the raspberries are still coming!). Food grown today often has 60% less nutrition than the food grown 60 years ago. And insect damage to food crops has doubled even though pesticide use has increased 1000%. These 2 issues - decreased nutrition and increased toxins - are a major reason why we humans are experiencing such an epidemic of illness and disease. Buying organic is a start, but it doesn't mean the nutrition is getting back into the food - much organic food is nutritionally quite poor. The nutrient-dense foods of just 60 years ago have effectively gone extinct to most of us. Few people will ever taste what a properly-grown tomato or strawberry tastes like, which means few people are getting the nutrition they require for optimal health. Growing your own vegetables and fruits is the best way to guarantee you have that nutrition and great taste - without the toxins. But because of soil degradation, past chemical use, lack of biodiversity and other factors, it's very difficult to get there without knowledge of how to balance the soil. Most importantly, we can all bring ourselves back to optimal health - dramatically increasing the nutrition we take in while decreasing the toxins - by growing food ourselves. I know all of this because not only am I a passionate follower of organic research from around the world, but I've put it into practice for myself and my clients. I've experienced the pain many times when things go wrong, and I've figured out how to get it right. To get it right, you need to do some things that most gardening courses and books are skipping over or not covering at all. That's why I'm here, to give you the level of detail that's needed. So while I do teach the basics, I also teach the more involved tactics that really make a difference, like soil testing and fertilizing, making and using microbial inoculants, starting your own seeds and then saving them each year, and hundreds of other topics. If you've been following my work, you may know that I grew up working in a garden center and on a 9 hole, pitch & putt golf course owned by my parents. Back then, I didn’t even know what 'organic' was. During the summers, I sprayed pesticides on the greens to get rid of a fungus called dollar spot. I truly had no idea there were any disadvantages to spraying this stuff. All I knew is that it didn’t work for very long because I had to come back and spray every week or two. What I don't talk about much is 2006, a year I'm happy to say is over. I'd just started my own gardening business. I had a lot of conventional gardening experience but was new at the organic method. I knew the theory, but didn't have the practice - and things went very wrong. 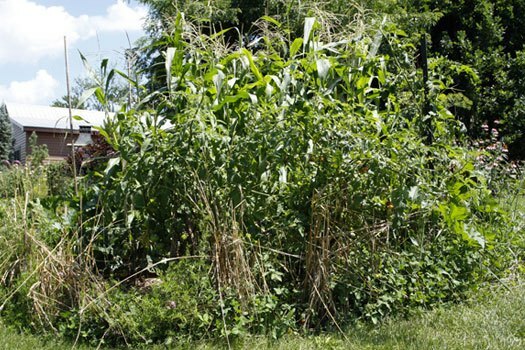 Many of my clients had major weed issues, pest problems, and gardens that were just plain sick. I had seeds that wouldn't germinate and plants that wouldn't flower or fruit. I didn't know how to deal with it and people were not happy with me. I cried myself to sleep many nights because I didn't want to let these people down and I didn't know what to do. Being stubborn, I dug into the organic research and started trying things out. A few actually helped. Most didn't. But I stuck with it. I learned how to make quality compost instead of the junk I'd been buying from the local providers. I also learned how to make quality compost tea, and how to use other microbial inoculants to bring benefits compost can't offer. I learned about proper soil testing - not the ineffective home kits sold at garden centers or the cheap tests done by university labs that are usually a waste of time. I learned how to test properly, how to interpret the results and how to fertilize based on them. It turned out it wasn't about throwing down the same organic blended fertilizer in every garden. I figured out how to deal with pests, too, and it was not what is taught in most gardening books. In fact, it was very interesting and surprising how it all worked. 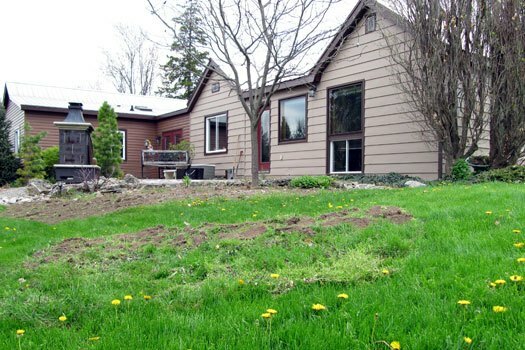 I eventually put together a holistic gardening system I could follow on any property. Cut to today and I have my own garden of vibrant fruits, vegetables and flowers without much of any disease, insect damage or weeds, certainly not enough to cause me any concern. I’ve learned a simple approach for keeping pests at bay, and this approach also brings me abundant, nutrient-dense harvests from the vegetable garden, too. In 2011 I put in a new garden on fairly average soil and grew 11 brix tomatoes and 15 brix carrots! (If you don't know about brix, don't worry, I'll be teaching you what it is and how to use it - it can be a useful test for growing nutrient-dense food). And that was just in the first year - it often seems to take a few years until the garden really starts hopping. 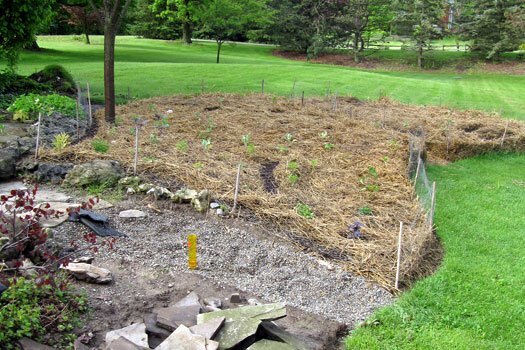 The approach can be called "organic gardening," but it’s more than that. 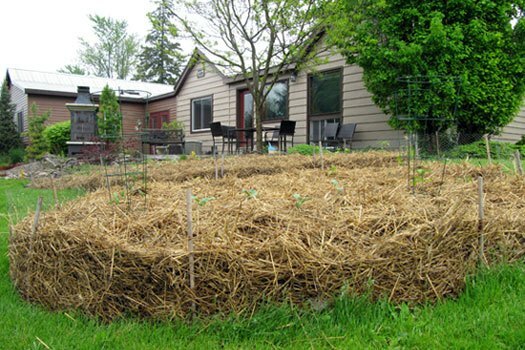 What often passes as organic gardening is simply piling on the organic matter - throw some compost and mulch on the garden and everything will supposedly work out fine. The thing is, that hasn’t been my experience or the experience of most people who have been doing this a long time. I absolutely love compost and have seen how quality compost can do a lot of good, but it’s not a magic bullet - and again, using it alone doesn’t get me to my goals. Do You Share Some Of These Goals With Me? When I say growing healthy food, I mean chemical-free, nutrient-dense, delicious fruits and vegetables. I’m talking about food that is so much more nutritious than the food you can buy in the grocery store. My fruits and vegetables not only taste better but are loaded with vitamins, minerals, antioxidants, enzymes - even natural medicines. For those who know the term brix, I’m talking about high-brix. The main purpose of growing this healthy food is because food is directly linked to your own health. You and I need to eat the good stuff and so do the people we care about. When I say controlling pests forever, I’m talking about a total shift in how we deal with insects, diseases and weeds. We mostly don’t want to spray things that kill them, whether chemical or organic, because it doesn’t fix the reason they’re there in the first place. So when I say forever, I mean we transform our garden to a level where pests don't want to be there. The reason you want to get rid of pests is not only because plants are expensive, but because if your plants are covered in pests, that means they're unhealthy, and we want healthy plants for our own nutritional benefit. When I say creating an inspirational haven, I mean designing a beautiful, relaxing place for you, your family and your friends, as well as a home for a diversity of plants, animals and other organisms. While we're growing food, we might as well grow some flowers, ornamental plants and trees, too. 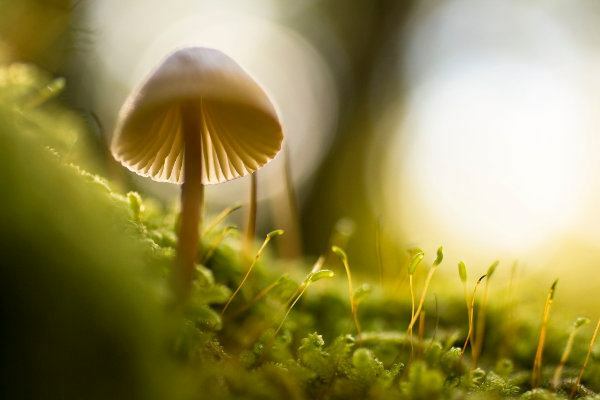 You want bright flowers, birds, bees and butterflies, and even mushrooms. You want water. A hot sunny spot and a cool shady spot. We're looking for that vibrant energy you feel when you’re in a place that's alive. When I say improving the environment, I mean creating a garden that removes toxins and greenhouse gases while creating oxygen. It provides food/shelter/protection for endangered honeybees and other important insects and animals, and otherwise improves the health of this planet. Sustainability is not enough for us. We want to create abundance. We're into leaving things better than when we started. We want so much healthy food that we have to give some of it away to our neighbors or local food bank. To me, those are some exciting goals, because they're all about health and abundance. It takes a bit of work and knowledge to achieve these goals. More knowledge than work, really. If you've ever heard the saying "work smart, not hard," that's what this is about. I’ve actually taken most of the hard work out of researching these topics for you. I’ve made the mistakes and learned from them so you don’t have to. With my online gardening course, all you have to do is start with day one, and we’ll discuss everything you need to know before you take your first step. You may have heard about or even read my book. I'm very proud of it, but this project is on a different level - a comprehensive resource I've put together for you in the form of an exclusive membership website. 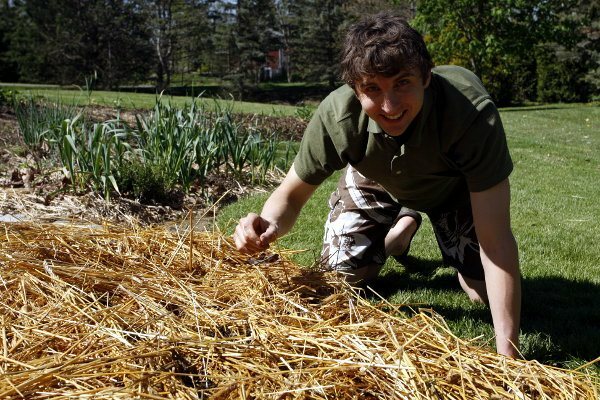 It's called the Smiling Gardener Academy and it's for people who want to go the extra mile to create health and abundance in their organic gardens. It's not a snobby members-only club, but it is for a certain type of person who wants to grow that nutrient-dense food that has been on the brink of extinction for decades. So here's what I did. I put in a new organic garden, from scratch. I pulled on all of my education and experience from a lifetime of gardening - and especially since 2006 when I figured out how to succeed organically - and tried to use every strategy I could think of to make it the healthiest garden possible. And I videotaped the whole process for you, from A-to-Z, over 500 short videos with accompanying text and 1000s of photos. I've actually been blown away with the results in the first few years, and it gets better every year. 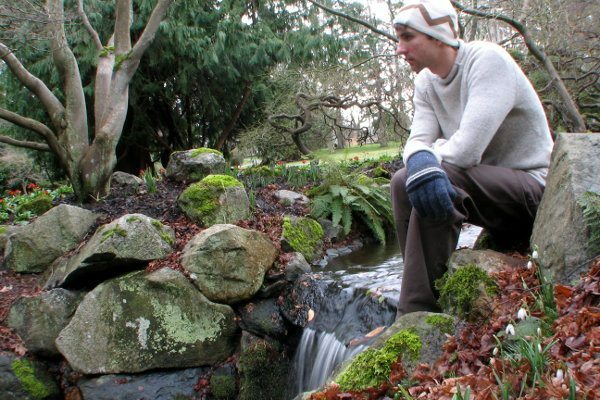 I've taken the pain I went through when I switched to organic in 2006, which drove me to create a system that I've been perfecting since then, and put it into an online gardening course for you. As of the beginning of 2019, over 800 people have taken the course. Day 2. I've started digging. Day 15. Starting to grow. Day 60. The harvest has begun. As a member of the Academy, you get access to a new section of the course every month with step-by-step videos and accompanying text and photos. I show you the steps I took to design and install what is becoming an incredibly productive food garden. And it doesn't matter where you live because this online gardening course is not region-specific. My goal is to teach you how to improve your soil, control pests and build a thriving ecosystem, and that is the same process everywhere. 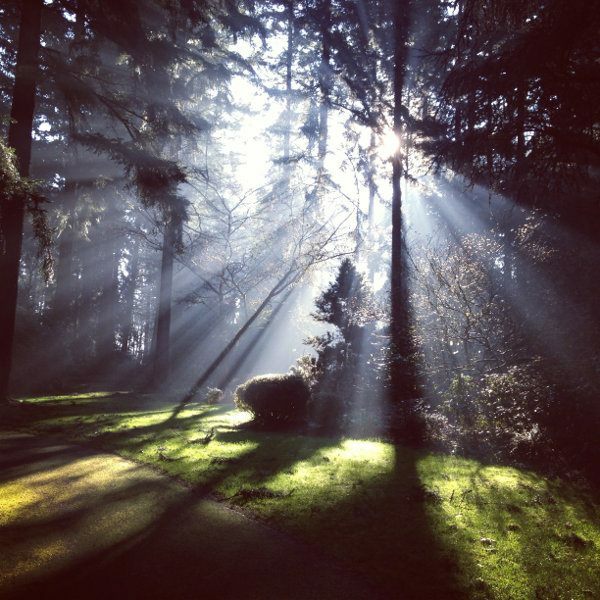 The full gardening course that I've been running since 2012 is 12 months long, and in 2015 I launched a condensed, 6-month version of the course that I call 'Academy Light'. Of course, regardless of which course you choose, you can stay in it just as long as you like - as long as you continue to feel you're getting good value - and you can cancel any time. I did my best to make the videos very practical. They start with some basics and get quite advanced on some topics. I've written it with beginner and intermediate home gardeners in mind (although professionals will learn some things, too - I did landscaping for 10 years before I knew most of this stuff, and wish I had learned it earlier). I also worked hard to make many of the videos as hands-on as possible, showing you exactly what to do, and when and how to do it. There's background information and some science, but all with a view to let you know why we do the things we do in the organic garden. Where it gets really cool is that we have a members-only community forum where you can ask and answer questions about each of the lessons. So if you have a question, ask it. I spend a lot of time answering questions, which is a major benefit of being an Academy member. If you've ever spent time looking for answers online, you'll know how valuable this is. Online, you never know if the solution you find is right. With me, I'll explain the science behind why it's right and the practical side of how it has worked for me. If you've ever asked a question in the comments on one of my blog posts, you may or may not have received a response, and if you did, you may have noticed it was one that was rather short and I often take days to respond - I can't answer blog comments or emails in much detail because I'm really busy. But Academy members get access to me through a special forum that I answer as soon as I receive it, usually within 4 hours. Do you need a bin? You'll grow food that's full of vitamins, minerals and natural medicines to contribute to your health today and for the rest of your life. 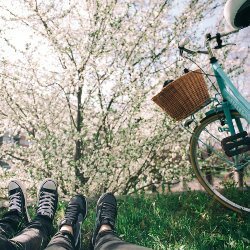 Plus, with gardening you get exercise, you stimulate different parts of your brain. And personally, being in the garden just makes me happy. You'll save money on maintenance costs by not having to replace dead plants and not having to hire a designer/landscaper/gardener, plus of course the money saved by growing your own food, which can eventually save you thousands of dollars every year. When you intensively study organic gardening, you can't help but become motivated to be a steward of the earth. I've become interested in saving honeybees and other endangered species, banning toxic pesticides and GMOs, using renewable inputs and energy, and the list goes on and on. Who Shouldn't Get This Resource? The steps outlined in the Smiling Gardener Academy are for people who want an optimally healthy garden, who want to grow nutrient-dense foods and vibrant ornamental plants and flowers. So it's not much for people who just want to keep up with the Joneses. Not that there's anything wrong with that, but we organic food growing people go a lot further. It means that although you certainly don't have to toil in the garden for hours every weekend in order to get things done, there's a little bit of work up front. When I was a full-time gardener, you would have spent thousands of dollars hiring me to implement the steps for you, but now you can take advantage of this Academy and do it yourself, and even do a better job because you can watch the changes in your garden day to day and season to season. As you may know, in 2014 I started selling the same high-quality organic fertilizers and microbial inoculants I've been using for many years in my own gardens. These products play a big part in growing nutrient-dense food. 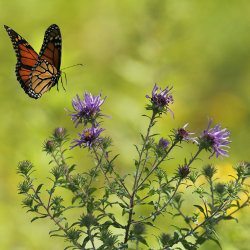 They bring in the beneficial biology and broad-spectrum chemistry that our gardens are often lacking. I teach you how to choose and use them in the Academy, and whenever you're ready, you can use this gift certificate to order them shipped directly to your door. Note: The gift certificate code will be listed on your receipt when you order. After you've gone through a few of the sections and are ready for some help with your garden, I'm going to give you 60 minutes of my time on the phone or Skype, 1 on 1. You can ask questions about anything you want to know about organic gardening, food growing, pest control, permaculture design, soil testing and fertilizing, microbial inoculants, composting, etc. My members say these chats are invaluable, and the great thing is they're also lots of fun for me because I love to chat with other gardeners, both experienced and inexperienced, so this bonus is really a win-win. 30 Days. If the information isn't what you were expecting, let me know within the first 30 days. I'll refund 100% of your money, no questions asked. 1 Year. Or if you stay through the full course, implement many of the strategies I teach, and still aren't happy with what you've learned and with the results in your garden, let me know. I'll still refund 100% of your money - or whatever you see fit - and I'll just ask that you email me with a little detail on how I can improve the course. The reason I feel great offering this guarantee is because I've spent many thousands of hours teaching horticulture in a classroom setting and through this course. I know it will help you develop an amazing organic food garden that provides you with non-toxic, nutrient-dense fruits and vegetables. It will save you money and move you toward optimal health at the same time. Also, I believe most people are honest and will only request a refund if they believe it's fair, and if they do, I'm always happy to give it to them. Of course, you can also cancel any time during the course and no further charges will be made to your account. With every Academy enrolment, I send $1 to Organics 4 Orphans (and other similar organizations - I've recently started spreading my donations out a bit). That means $1 for each month you’re in the course - not just when you sign up. What I love about the O4O approach is that they’re working with the world's poor in a wonderfully holistic, sustainable, focusing-on-the-root-cause sort of way. Disease prevention. Using plants as medicine, such as the neem tree (in Swahili language, it’s known as ‘the tree that cures forty’, meaning forty diseases). Better nutrition. Shifting to eating more nutrient-dense foods such as kale and medicinal plants such as moringa, rather than less nutritious foods such as corn, which is currently being over-consumed in many parts of the world. Growing food. 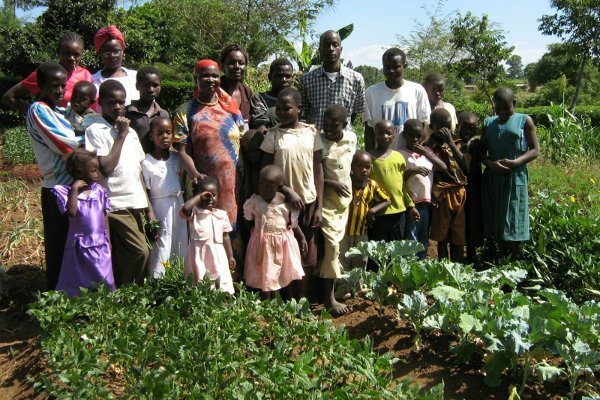 Growing their food and medicinal plants using biointensive organic gardening methods. Growing biointensively is more physical work, but it’s highly productive, sustainable and affordable. My hope this year is to (again) send at least $1500US, which is enough to start projects in 25 new communities! Enrol now and you get instant access to month 1 of the course. The 'Academy' is the same one I've been running for years, with over 600 members so far. It's for people who are planning to grow a lot of food, and who are ready to put in some effort in the first couple of years in order to do that. It's also for farmers, market gardeners, professional gardeners and landscapers who are looking to update their knowledge and skills. The 'Academy Light' is a shorter course where I've removed some of the more advanced lessons and certain specialty sections that aren’t needed by everyone. It's for people who also want to grow an organic garden, but who have less time to devote to it right now, so they want to learn just the most important steps they need take to have a successful garden. I’m happy to be able to offer this abbreviated course that's 70% shorter, costs 70% less, and takes only 6 months to complete instead of 12, and I'm excited to continue offering the main course as well. More than 80% of people choose the full course, but if at any point during either course you want to switch to the other course, you have the option to do that. And if you’re okay with answering a couple of short online surveys during the course, today I’m offering you a reduced fee of 30% off the course in exchange for that feedback. Is the course good for people all over the world? I have members from all over the world, from very cold climates to the tropics. The course isn't especially region-specific, other than a few modules where I discuss some food plants, and even then, most of them are plants that are grown in a wide variety of places (e.g. tomatoes). In some countries it can be a little more difficult to find a few of the fertilizers I recommend, but a lot of what I teach is process-driven rather than product-driven, so hopefully the vast majority of the course is very relevant to everyone. The full Academy is 12 months long. The light version is 6 months long. Either way, you get access to a new section every 30 days with 30-40 lessons. You also have the option once inside the course to fast track through all of the remaining months. Do I still have access to the material when it's over? After you've paid for the full course, you'll have continued access, including all updates I do, for no additional fees. None of the online courses I've ever taken have offered that, but I think it's a pretty sweet feature. You can also download all videos and text at any time to your computer. Can I do the course on my own time? What if I get behind? The videos are pre-recorded and the course is self-paced, so it's perfectly set up to do it on your own time. Even if you don't keep up as new lessons are released, you still have access to the earlier ones, so you can finish whenever you find the time. Even after the course is done, you still have access to everything. 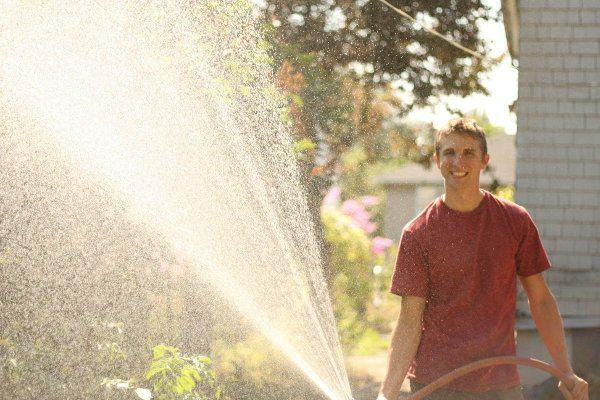 To summarize, this course is especially for people who want optimum health for your garden and yourself, which means fewer disease problems for your garden and yourself. It’s for people who want higher yields of food, with more flavor than you can get anywhere else, and who value being healthy, now and as you get older. If you want to bypass the pain I went through of killed plants, weeds and pest infestations, tasteless foods and money wasted, this is for you. 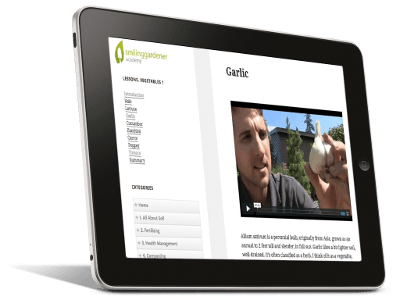 The membership includes exclusive access to the Smiling Gardener Academy with over 500 videos with accompanying text, thousands of photos, and a like-minded community of organic gardeners. With the 1 year money-back guarantee, I hope the choice is easy. Be sure to join before Monday night at 9pm Eastern Time when I'll stop accepting new enrolments so I can work with existing members. Thanks for reading. I hope to see you inside. Do you have any questions about the Academy that I didn't answer here? Feel free to use the form below or email me at support@smilinggardener.com and I'll be glad to answer. Thanks! I usually respond by email within a day. "I just wanted to let you know how much I appreciate your academy. There's just the right amount of material per month. You are teaching beautiful and radical ideas! I feel so confident that I can build soil and improve life in our yard, and we will grow the best food we can thanks to everything I am learning. Please know what a difference your work is making in my life and the health of my family. Thank-you for sharing your passion." "Very strong application of the writing ability mixed with your clear passion and knowledge for agricultural topics. I've only received the first module and I've contemplated buying all of them flat out. Thank you for the hard and detailed work you've put into the research, business, site and video instructions. It's been time well spent and now widely appreciated." "I've read lots and lots of websites throughout the years about gardening. The way you explain is easy for people new to gardening to understand. Keep up the good work. I feel strongly about this because there was a time when I was in the VERY beginning stages learning about gardening. You are setting a good foundation for people. I honestly feel they won't be scared away from to much technical info. You've go just enough of that to make it interesting and encouraging us to read more and want to learn more. We both feel fortunate to have found you and have got our first compost pile cooking already." "Just wanted to let you know that I went from enjoying gardening and 'creating' food to loving it! I haven't seen all of vids yet but I have seen enough to know that I'm going to keep 'studying' / learning all I need to know to do things in a way that is in harmony with nature instead of destroying nature. Most of the things we have been taught have been distorted in some way and it is such a relief to finally find someone that is on the same wavelength. I believe I was guided to you and so I thank you from the bottom of my heart." "I've done the first lesson of the Academy, I am thrilled with what I have learned and am putting it to work. I swear I can see a difference already and it is late November! In fact, this is just the information that I have been searching for. I had done some research into and dabbling in Biodynamic farming, but like your approach even better....Sorry to talk your ear off, but you are the one who got me so revved up. 😉 And I am totally grateful to you for it. We have now done the foliar spray twice on the winter crops and the results are pretty spectacular, on the whole. I had to go back and do a third hit on the curly kale, which was not doing much, but it is now jumping. My collards out in the garden came in spectacularly with little worm damage. We built a 5 by 4.5 compost heap that heated up to 160 right away and stayed there for several days. My excitement level is high and I cannot wait to see what changes will show in the spring. My goal all along has been to get my garden to a place that I can manage it well, with only a little help, by the time I am 80. I have nearly 8 years to do it in, and that is starting to look like a realistic goal, thanks to you. Thank you, thank you for all the effort you have put into getting this information compiled in one place and then available to those of us hungry for it." "This feels like a dream come true. I know this Academy will enrich my growing experiences. 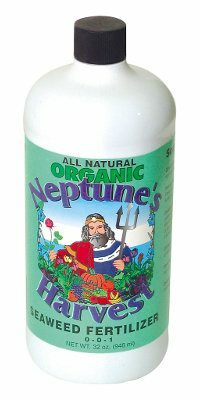 Most importantly, it will help me to grow healthier plants that in turn feed my body and my soul. All in all, it's Friday night and I just signed up, so you can only guess what I'm doing all weekend." "I really enjoyed watching the first module, consuming it over the last two days! Great job filming, explaining and demonstrating all the concepts in a way I can understand and grasp them. I appreciate all of your efforts, time and energy. It is all coming together and I am really excited about the possibility of having a soil that is working for me. My focus has been the plants for so long, it is quite a shift in thinking to focus on the soil and how to best feed and care for it, and then it will feed and produce healthy plants, ideally. Makes so much sense! I am really liking this approach and thinking toward organic gardening. Thank you so much! You are my first organic gardening teacher/coach and I really appreciate that you are accessible and willing to answer my questions. I am so thankful for your help!" "I have been doing everything you instructed, and all of my flowers are extremely healthy! I definitely see a big difference! You are doing an excellent job I don't know how you put everything together so well! I am really enjoying the Academy so much!! You have done all of your homework and have made everything perfect, informative and easy to navigate. There are lots of resources and all of the information I received so far is more than I expected. Honestly, I am enjoying everything and learning just what I need to know and also at a good pace. After viewing your website, I knew your Academy was for me and I felt an instant connection and signed up right away. Mainly and lastly, what I like the most about the Academy is the way you treat your clients either by email or by the way you speak in your videos. You have an awesome personality and I am more than happy that I am a member of your Academy. I'm so excited about this that I want to be a member and a friend for life!! Again, thank you." "Thank you very much, I love your courses, it comes from your heart. It's obvious that you are a very good teacher, please continue your goals and your ideas, you have a lot of results." "The information that you provide through the academy is exactly what I am looking for. I feel that the money I have spent to be in the academy is an absolute bargain, worth every penny." "I'm an avid worm composter. I too, am all about the soil. I believe if we took care of the soil, not only would we as humans be healthier, but the planet would be healthier. This is a great group to be a part of." "I really like what I've seen so far. The content is really interesting, and just what I'm looking for to work with my kids. We homeschool, and they're just about ready to leave the nest, so I want them to understand WHY we do what I've been doing all these years. Great idea, and thanks for keeping it affordable." "I've really been enjoying your academy. I think it's well thought out, organized and above all interesting! I wish you and you're lovely wife a healthy and prosperous new year. Little did I know you were the same YouTube gardener that I had watched numerous times on extending EM a couple years back. I have nothing bad to say about your program. I think it's great." "Thanks to you, I tried Crop Services International this year for these two brand new beds. Having the Base and LaMotte is really valuable. I also, thanks to you, began measuring EC and will begin Brix. Last year this time it was a different story so seeing this improvement is really incredible. These pics were taken in the last 48 hours - about 100 fruit on 3 plants. I also attached pics of a container grown habenaro last year that produced more than 300 fruit; had a control plant that produced less than half that amount.... convinced me of the power of mycorrhizae." 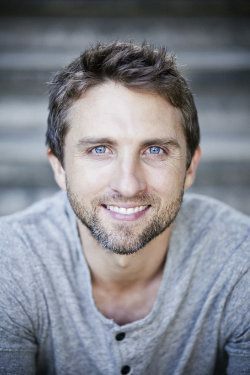 "The main two things I really like about the Smiling Gardner are 1) your enthusiastic approach to your subject and your genuine wish to share your knowledge with others, and 2) the quality and breadth of the kinds of information you share. (Uh, oh, is that three things?) The video format is super; much easier to grasp than reading, plus I can pull the slider back to hear something again that I may have missed." "The way the lessons are set up is terrific. It's clean and well organized. I REALLY love that you've broken everything down into manageable segments. It's great that the segments are short and even better that I have the option of watching the video or reading the text. Your set up is nice and clean in that regard, too, because the text is directly below the video. I don't have to download separate transcripts and open them up in another window. Great work with this. Really. It's comprehensive without being overwhelming and it's extremely well organized and segmented." "The Academy is the best thing since 'sliced bread'. Your 'set-up' is easy to navigate and learn from. The content is very interesting and useful; it can take beginning gardeners from 0 to 60 in a hurry. And, if I’m right, it is going to take intermediate gardeners a long way also. And I’m sure that the advanced will get a lot out of it too, looks like it is going to be a wonderful journey toward well-being and true health! I like the presentation, it is 'clean'. You have mastered the art of KISS (Keep IT Simple and Sincere). I’ve got a feeling that the Academy is going to take off like a rocket. Your meaning is coming through loud and clear. You are seen as a man of integrity; you are clear, well focused and Sincere. In other words, you are doing great, keep truckin...and we’ll keep watching and reading. Thanks for being on the planet right now, good timing. :)"
"Nicely done, Phil! Thanks for putting together such in-depth studies and details about the soil. It is much more detail than I've ever heard about soil before. My husband studies up on soil some, but I've never read any of his books on it. Watching a video to gather information is much more interesting :)"
"I'm extremely pleased with the content. The video content and quality are excellent. Your feedback is beyond excellent. I asked a question and got an answer the same day WOW that doesn't happen in the real world. So far I'm loving all of it. Thank you,"
"In your email you asked for criticism of the academy. You ask the impossible of me. We, my wife and I, have been thrilled with the academy. It has completely changed our thought process about gardening, lawns, most of nature even. I have long thought the major problem with our health system is doctors treat symptoms instead of looking for the root problem. I now realize my gardens in the past were suffering from the same symptom driven management. I have now thought about a couple of possible criticisms: 1. 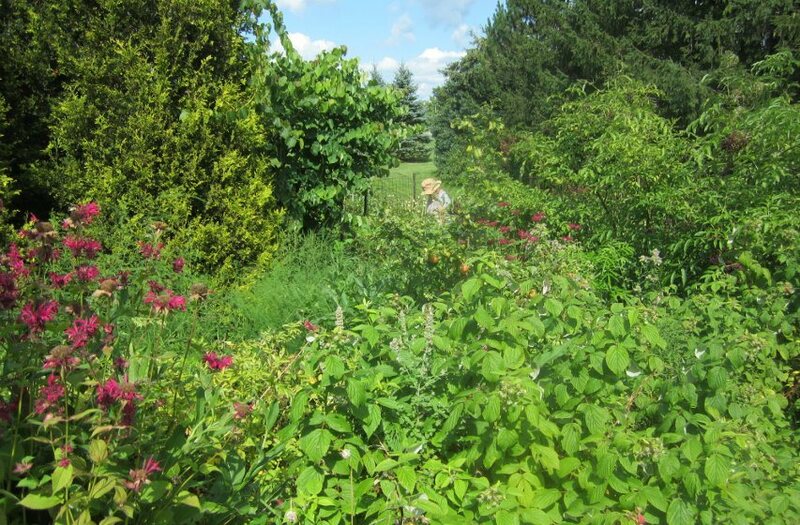 We have learned so much and become so excited about of gardens that our plans have become considerably more ambitious. 2. I am loosing sleep planning, thinking, reading, watching, and re-planning. Very Sincerely,"
"The site is easy to navigate and learn from and the content is interesting and useful. You do a good job teaching. I like that the videos are short but well thought out ahead of time (at least it feels that way! ), and I like how they are casual, sometimes in the shade, etc, it keeps the lessons and your appearance as friendly, natural, approachable, etc as opposed to seeming like a distant, out of touch, cheap, quick media production that is rampant these days in one place or another! 🙂 You obviously have a lot of knowledge, and you seem to keep it practical, and I really appreciate that you strive to not be preachy about it. You are a gifted person." "***** 5 Star Smiling Gardener Academy. Even though I have been organic gardening for 20 years, I am learning so much! I cannot tell you how much you mean to me. I know I tell you this all the time but you inspire me daily, hourly...thank you again for all your sincerity, devotion, inspiration, and question answering goodness!" "I love this course and all the info. I wish I had tine for hort school etc but I own a business and have 2 young kids and therefore NO time! It was great to see all the soil info in the first few videos." "I LOVE YOUR SITE AND THE ACADEMY!!!! I have learned tons and am going to try implementing it in my garden. I started a "square foot garden" system a few years back and have not been happy with the "promised results" that I haven't seen. I actually e-mailed you about that system a couple of months ago and you thought I would be able to incorporate your ideas in with what I already have going. I find your site very user friendly and super interesting. I have been into organic gardening for some time and I really like the new ideas I'm learning from you. I haven't found any of the sections that I haven't learned something. Please continue with what you have going!" 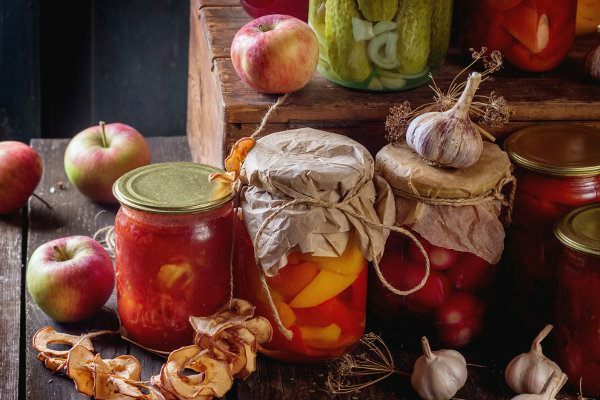 "Hi Phil – I was told about you through my daughter-in-law that has taken the Master Gardening Course in Victoria and also hooked me up with the Organic Gardner’s Pantry. I think you are doing a great job and love and feel the passion you have right through the computer." "I find the content interesting and useful. I learned valuable information in each sections so far. Thanks a lot for putting this website together, keep up the good work! Take care." "You are doing a great service... very helpful information indeed, exactly what I need. It's all about taking care of the health of our planet and everything on it, including us!" "I like the use of videos as the visual of how to do something really helps. I like the science. I find this interesting and it makes the information concrete rather than an opinion of yours. I am someone who really needs to know why I am doing something and it helps for me to understand how to duplicate the information in other settings. Again, the video format is excellent. I like the fact that you include the script at the bottom of your video link. In short form: convenience, clear direction, and keep smiling, it is all good." "Phil I really really really like the academy. I appreciate your approach, and such detail. I am impressed. Your website is easily maneuvered, I appreciate your teaching style and your patience, but mostly Phil I love your enthusiasm. I hope to be learning from you until you no longer desire to teach it! Thank you for sharing your education with us. The cost is very reasonable. I am having a blast going through the videos. In fact I am done with this first lesson and ready to move on. 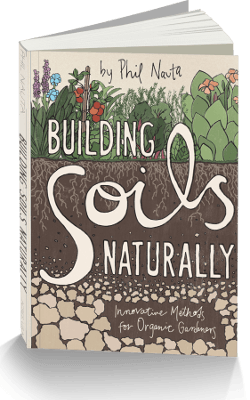 I am so excited to be learning the best possible techniques to build my soil to make it the most nutrient dense soil possible!" "I've only bought the first set of lessons on the soil and it has been a pleasure to watch and learn. The info you gathered is sharp and essential to get a good idea of how everything works. And I like the way you combine theory and practical videos, a hands on approach and an overall combination of practical, theory and up to date research on how to succeed and understand what can we do to improve and actually grow our own healthy food garden. You're are doing a great job and although I studied agronomy, read lots of permaculture and other organic growing food books, I am really learning bits and tricks that are ESSENTIAL and that most times skip through our eyes." "Hi Phil, I want to thank you so much for all your help with my access to the online courses. I also love your courses. I had already started some of the steps you are teaching and now I understand the importance of continuing those steps as well as adding to those steps to create a better outcome. The greatest thing is now I understand the what, why, when, and how to garden the right way. I look forward to the remainder of the courses since I have already finished the 1st course. Thanks for putting the information online,"
"I have read and will reread the introduction and everything else! It took me awhile to figure out how to get into the forum, I’m techno challenged!! I have to say I am delighted with the Academy. Beautifully presented, concise, yet full of such important information! I never realized how many different things affected a garden, and learning how to balance is imperative...I am sincerely grateful to have “met” you Phil. Your teaching is enriching my life. Becoming involved in this community is wonderful." "I am a new academy member. 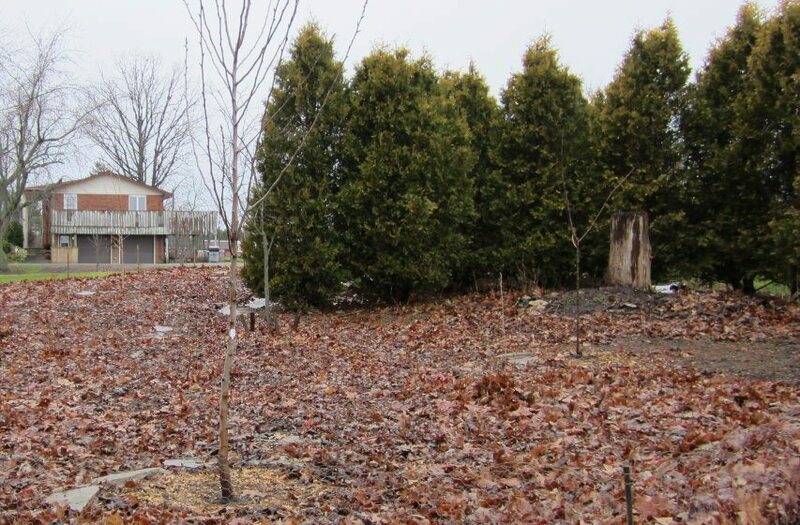 I had moved into my home Oct 2012 and the yard was a disaster. It hadn't been cared for for many years. I've always had an organic "bent" and couldn't wait to go organic on my own place. I bought lots of flowers and made tobacco tea and poured beer and dish soap on everything. I couldn't even grow marigolds. The ants and whatever's carried them off. By August I was so disappointed in the whole thing. I can't remember how I found you, but you turned my brown thumbs to green. You so graciously gave away so much of your knowledge. I printed out the ebook and put it in a binder and read about EM and fungi and was hooked! Your videos are "down to earth" and honest. This year my new peach trees are lush and have peaches on them. I use the folar sprays you suggest and no holes in the leaves like last year. My strawberries now have leaves that are huge and lots of berries coming on. Same with my grapevine. Flowers are happy and do is my lawn. I'm having a blast. Thank you for offering supplies on line. Couldn't find stuff here. I could go on and on. Keep up the good work. You're very much appreciated." "I think the course is fantastic. I've just finished the first month and it had been a good intro to organic gardening. I personally like the background science as it gives me the bigger picture. The videos are a good length, not too in depth at first and are practical in nature. I really want to know both what I'm ultimately aiming for in my garden (big picture first) and then the steps/skills I need to learn and utilize to get there. To have a structured course like this is really what I'm looking for. There is so much info on the web, but I need an expert to walk me through it otherwise I'll get lost with information overload. Thanks for what you do!" "You have joined Elliot Coleman, Heidi Hermary, Tobi Hemenway, Steve Solomon, David Holmgren, Rudolf Steiner and Elaine Ingham as one of garden/grower gurus. That your focus is on growing healthy food (the pretties are great but there to support food plant growing) resonates totally with my own perspective and values. Really like the tips on improving nutrient content. Your information (such as about beneficial micro-organisms) is cutting edge, which I really appreciate, as such info is often scattered or difficult to track down. Sometimes what you say is such clear common sense (like your pruning advice), my mind just stutters in amazement. Your writing is tight, well organized and clear. Love your positive spin. I feel happy - uplifted and energized after I finish a lesson, ready to jump into my boots and grab my trowel. Thank you for sharing your wisdom, Phil. We are fortunate." "Your presentation is perfect for my learning style: 1) read and see pictures... 2) watch the video... 3) try it out... Cruising through websites (yours and others) is great too, but the in-depth information concentrated in your course and presented in a clear, concise manner has been a real problem-solver for us. This is only our second season gardening on this (primarily open field with a shaded pond) property and the harvest is already increasing, much of it thanks to your information helping us avoid serious pitfalls. We are getting super excited about starting to put in fruit, nut, nitrogen-fixer and pollinator-attracter trees this autumn. You're providing a wonderful service. Keep on keeping on, but take good care of Phil as you do so. You're a keeper.:)!" "Hi Phil, Truly you've put together such an awesome learning site, your brilliance to make it doable, along with such a great education simplified, is very much appreciated! I love that you are so real, relaxed and light-hearted, you truly have a gift to share with the world. You inspire me and give me lots of hope in the ability to grow incredible food for my family and I, thank you for all your effort!" "I want to take the opportunity to thank Phil as his Academy videos gave me the confidence to make a move to another country to work at growing my own food." "I think you have done a great job with the content. I do like the videos — they are short enough to keep one’s attention while providing core information and references (when applicable). 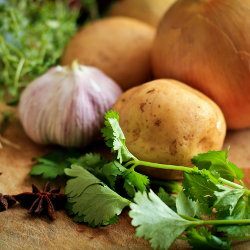 I signed up for this course to learn how to be a better organic gardener — I live in a “healthy food wasteland” and this is my third year growing some of our summer vegetables. What I have learned thus far (I’m up to Module 5) is exactly the basic info I needed to know in order to improve my gardening skills — like most people I started my organic garden by searching the internet for “how to” information (and getting different opinions), then I would plunk the veggies into the ground, hoping I didn’t have a problem. FYI - I was very impressed that you showed the forms for the soil samples with instructions as to what to complete — very thorough! I also enjoyed learning about the BRIX as I had not previously heard of BRIX. I appreciate the effort you have put into condensing this info in one place — trying to decide what to include and what to exclude could not have been an easy task." "Thank you for the opportunity to learn such an important skill set. The content is all interesting and useful. Your websites are easily navigable. Membership details are laid out simply. The most important thing that I want to learn is how to give back to the earth through this knowledge and experience. This is a way that I can become self sufficient, and live in harmony with nature, in this beautiful practice of plant husbandry, if you will. The many heirloom varieties that I'll be growing will not only benefit the environment, but will bring harmony and balance within myself. It is so much more deeply nourishing on a cellular level to take up this life force into my own, and on a spiritual level, for so many reasons." "Loving your course! I have the MOST productive garden this year I think I've ever had, so many strawberries, raspberries and blueberries that my freezer is full and they just keep on coming!! Plus all the other bountiful veggie crops." "Thank you again for your time on the phone with me today. I really appreciated it! I am looking forward to learning this next year in the Academy and putting into practice these things. Wanted to also say that thank you for all of your prompt emails and followups. It really says a lot about your dedication to your members and what you are sharing." "I've been a gardener all my life but am now semi-retired so I have more time and have been getting into it with a passion! I'm learning new things from you which is fabulous! Soil test from a lab, targeted mineral fertilizers, biostimulants and inoculants. I've recently added bokashi compost to my arsenal of composting and worm bins. Thanks for all the info you give, I appreciate that you are very detailed but also not rigid. I really appreciate that you make the videos succinct. I also really like the videos from Dan and others that you include, finding them very useful and informative. Thanks a bunch!!" "I have been an Academy member for 10 weeks now - only learning and just the beginning of this new way but the results have been awesome! I just cut a 5 1/2 pound Cabbage and only found 2 cabbage worms in the lower leaves. Lots of squash, cukes and lettuce and our beets are 2inches in dia. and everything tastes great! I could go on and on but I know you are busy--Thanks again for all the great information etc. Every Tomato plant set fruit perfect!" "My Scott has returned from a successful trip from Kitale. Three beautiful, thankful girls with their healthy babies, have 'graduated' from our Esther Home. They've been totally reconciled to their families with care for babies and training for work or furthering their education. Miracle!! Thank you for your part in this Phil! Scott implemented your soil ideas as much as he could. Scott said he overheard the greenhouse staff calling these garden strategies "Nikie Technology". Haha. Trust me, as we get success in these cashcrop greenhouses, I will be telling them all about my friend, Phil Nauta and the Smiling Gardener Academy!! You are amazing, inspirational and I appreciate you so much. As always, totally enjoying the Academy. Keep up your good work friend and God bless you!" "Firstly let me say I am really enjoying this course. You have put so much hard work into it and I'm getting a lot out of it, it's turning out to be exactly what I hoped it would. I'm new to gardening having just moved from apartment living 6 mths ago to an acre of land. As a newbie I have found all the information you give easy to take on board and of an adequate depth. Your passion for what you do easily comes through on the videos and I feel really excited and inspired after watching them to get out and try what you have demonstrated." 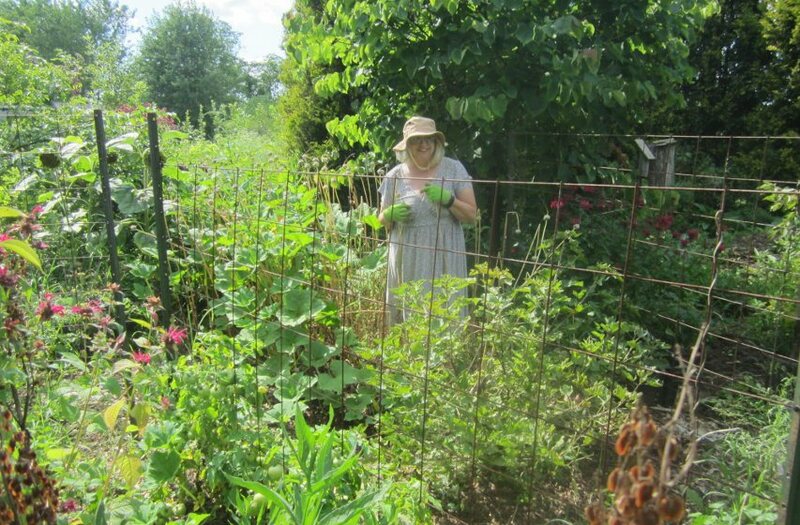 "I am a beginner gardener (2 years) with a small area, so questioned whether the academy would make sense for me. I was drawn by the ability to ask questions. I am enjoying going through each video. Not all of it is something that I can apply but it is giving me the bigger picture so I understand the reasons for doing certain things in the garden. 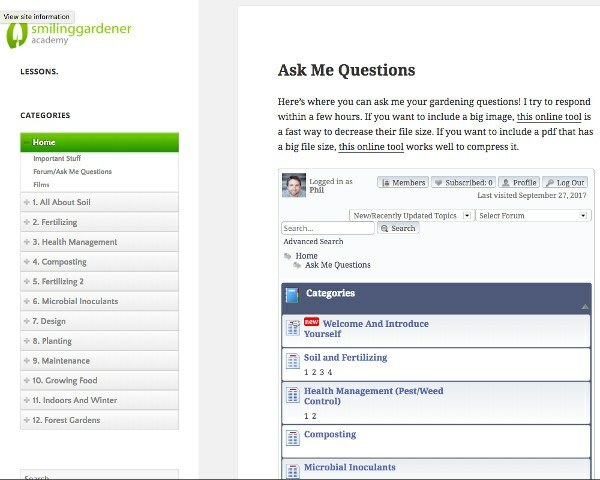 I have developed a calendar and journal of maintenance activities based on your checklist for the garden. I have incorporated all but 6 items. In time I am sure those will be included as well. I am now less concerned about the health of the current plants and more concerned about building the soil. As you would expect, once I started building the soil the plants became a lot healthier. 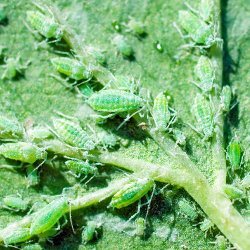 I don’t see aphids anymore and all plants are more alive and healthy looking." "Your course is excellent and really helpful. I've been gardening for about 10 years now at my community garden plot in Los Angeles. I have learned a lot in that time, but recently took a workshop and somehow ended up on your website. I left the workshop thinking that my mind was blown (with regards to content), but it was so disorganized I wasn't sure what I had learned. 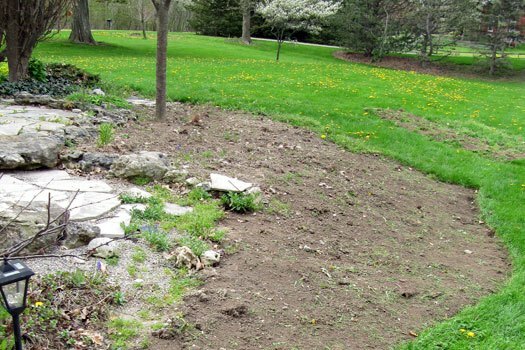 You course is organized, thorough, and accessible to all levels of gardeners. Thanks much." "I definitely have seen a difference in my plants. It has been an extremely dry summer here in the northeast. I wasn't watering as much as I should have in the beginning of the season and my plants did fine; they were a little slow to take off but were blooming like crazy! I know if I didn't build my soil up with compost and use the regimen they would have been stressed. I have learned a great deal in all the modulars! I go over the science parts again and again until they sink in! It's surprising how I find myself explaining to fellow gardeners what I have been using and why. My Master Gardener group noticed a difference in my plants; they are still green and blooming when most of theirs are shrivelled. Because of the dry weather most gardeners have finished this time of year. My stuff still looks pretty good." "Every lesson has been very valuable. Just to let you know, my neighbors have started spraying my lilacs in front of my house and because I've fertilized as you taught, I'm getting minimal damage. And the peaches just from the 1 49er peach tree had enough peaches to for me not to miss the 2 that were recently destroyed. Thank you so much for helping me to get rid of peach leaf curl. I have been telling all my friends about your site. Now when I go to the coast, I look for seaweed and crab shells instead of agates!" "I love everything you do...particularly the care and detail you put into all you present on your site. You have a very welcoming presence that makes me feel at ease just listening to you! Thank you so much for offering the Academy and for all the hard work you put into it—-it doesn't go unnoticed. Your generosity is written all over your site, by the way. On some of those bad news days your words can restore my faith in humanity. Keep up the great work you are doing!" Linda, Salt Spring Island, B.C. "First, I would say that your videos are most educational, compelling and entertaining - these are not easy adjectives to achieve, so bravo on your work. All-in-all I am a big fan of you, your site and course material and have recommended it to others. 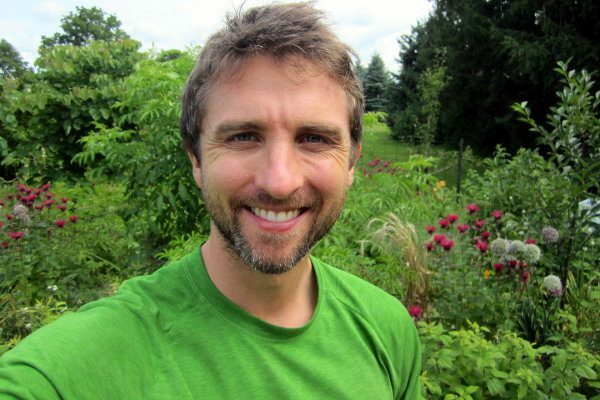 I feel you and your video brings true value to the organic gardener, especially to the “visual learner”." "I like the fact that your videos are short and I can watch one whenever I have a few minutes. The possibility to have access to such a quality course as I am in a remote area is just the best! Keep up the good work!" "I visited the member area of your new site and was quite impressed by the quality of the educational material you've brought together. Your videos go beyond what many instructional garden videos offer and are presented in a friendly and competent manner. I think you can feel quite proud of that." "Your lessons have already been helpful and I’m excited to be a part of this group so we can all expand our knowledge and share ideas about something we are all passionate about." "I really enjoy all your gardening information. Love to watch your videos. Very informative and refreshing. I am looking forward to using your techniques on my new 1 acre plot. Since I have taken the Organic Master Gardening course it has opened my eyes. I had never thought about the living organisms as providing the health and sustainability to a better system of gardening and just well being of everything around it. Keep up the good work as it is appreciated." "Your content is good. It is obvious that you know what you are talking about! The best parts were the ones that gave me something to do...the soil tests, and sheet mulching segments." "It's all good for me. I really dig what your doing. Your gardening philosophy is one that I really believe." "Weston A. 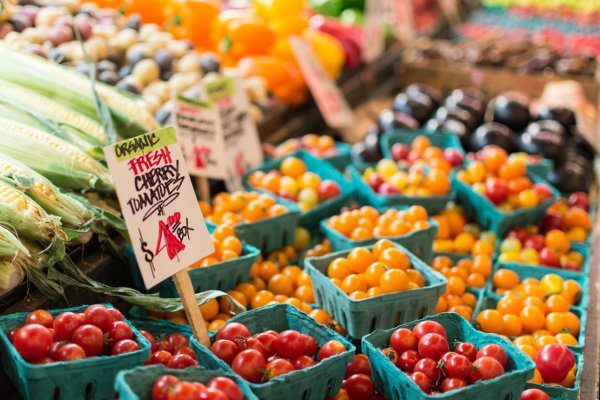 Price proved to the world, early in the 20th century, that nutrition, the consumption of nutrient-dense, whole foods, was a major prerequisite to good health; and, the prerequisite for a balanced, and nutrient-dense, whole food is a healthy soil. This is the philosophy and foundation of your teachings and that is why I have joined the Smiling Gardener Academy. I look forward to learning from you all those techniques and principles that I will apply to grow wholesome food for myself and my family." "When I entered the course, I had very little knowledge of growing plants, for food or otherwise. When I would pick up books, well I'm sure you've had the experience, the information seems so daunting and cumbersome to get a hold of when you look at the thick books. I was impressed as to your approach. The human being you have become has helped you to communicate information in a way that helps people get excited about learning. Even though the presentation is done using simple technology and techniques, the information that you are providing and the learning that comes across is amazing... don't veer off course too much. It helps keep the costs down and therefore, affordable for us who do not have the gobs of money to invest in schools, which have become cost prohibitive, to say the least. Now, 2 years later, its amazing how much I have incorporated into my life: growing food in the same containers as ornamental plants so as to utilize the space, creating various composting piles, including bokashi composting which I have been doing for over a year now, and yes, I make my own bokashi and EM, taking soil samples every spring as well as paying attention to what is happening in my gardens, looking for the different opportunities in front of me to utilize any organic matter to use in making compost so as not to expend more energy." "I wanted to write to you and tell you what an awesome time I have had in this academy of gardening you put together. I started last year learning about soils. And did I. My garden had been floundering for a couple of years. My yard has been giving me fits for 23 years. In 2013 I almost gave up altogether. My tomatoes were dying from fungal diseases, My beets were coming out with almost a sour taste to them, and my carrots….. well God help me cause the carrots weren’t. I searched for items that could help me figure out what was going on in my garden. I thought I had been doing all the right things. I added manure every year, used no chemicals, added Dolomite Lime, and every year the plantings just kept getting worse. I did stop gardening for a year, and in 2014 did nothing. But after seeing you on you tube a few times, then going to your web site, I wanted to learn more. Then your offer came last year for your academy. So, I signed up. In 2015, I sent in soil samples to CSI for both my yard and garden. I got the results back. I couldn’t believe the wacked out numbers I saw. I spoke with Ron at CSI and between his recommendations and yours I put minerals and biostimulants on my garden. You both had said “Don’t expect great results right away” since the soil had to rejuvenate from years of poor maintenance. I had to determine where to start. There was just so much wrong that I needed to work on. I got the minerals and such that I would need. I mixed my first batch of EM, I spread my minerals and then I rototilled one last time since my soil was sooooo compacted. Then I planted. Things were slow to take off. I had some vegetables that did not do so well. But for the most part everything improved an amazing amount. My beets were much sweeter (30 Quarts canned), my beans took off (75 Quarts canned), Okra the best year I have ever had, Watermelons grew well, Muskmelons had a lot of powdery mildew and no good fruit, carrots not so well they were all stunted, Cucumbers were amazing (We love these things), and then the Tomatoes…….. No Disease what so ever) They tasted wonderful. That is not all but a good sampling. This year I expect that the crops will do even better. I really was encouraged last year. In 2016, No till whatsoever. My soil was not compacted, I raked off the mulch and evened out the beds, and replaced the mulch and added more. The tilth is starting to look good, and I didn’t mention with the use of Mycorrhizal fungi, I saw some around roots last year that is proving to be a large help to the plants. I have begun to see more worms than ever in my soil before. I never could figure out what was wrong and why there were so few worms in my garden. Well, there is a long way to go yet, but thank God your course was what I needed to get everything on track and get my soil healthier and working again. I will continue to care for it in a way that is sustainable and organic. Best of all I am looking forward to my garden this year. Thanks."